For starters I have to express my gratitude towards one of the seminar speakers, Juha Vasko, who was kind to give me the possibility to participate at the event. Seminar agenda was to present Palmu’s work with their clients, six case studies presented the client themselves, and also to provide deeper information about service design and its future. Event main speakers were Ken Segall a creative director from Apple, André Noël Chaker from Veikkaus Ltd, Göte Nyman a professor in psychology and Marko Kulmalaa producer. Client cases were from ISS, Fonecta, F-secure, Finavia, Citymarket and MTV3.The day started with Ken Segall’s lecture – Insanely Simple. Segal lead the audience into Steve Jobs’ way of thinking and emphasized the focal point of his presentation by showing the early days ad about the campaign Think Different ( http://www.youtube.com/watch?v=GEPhLqwKo6g). Segal talked about the meaning of simplicity in products as well as in services and how Apple followed this guideline with the guidance of Jobs. One and perhaps the first example of the Apple point of view about adopting the value of simplicity into their brand development, was when they started the process of naming the computers, their most important product. After a lot of benchmarking, ideation and iteration they found the one and only term – iMac. Segall said that the original idea was his but it took couple of iteration rounds before Jobs started to be familiar with it. If Jobs had not approved Segall’s suggestion, today we would know Apple’s computer under the name MacMan.Segall continued about simplicity and the strength is offers to everything your organization provides to its clients and to its own processes. Simplicity is not a trend, but a universal preference. It should be evident in every product and in every service we consume. What is simple and easily understandable, is the result of intelligence. The final clue is to remember that organizations are providing services to people. Palmu’s client cases were selected with variety in mind. The first set of cases presented ISS’s challenger concept for price war market of cleaning services, and case Fonecta about how they grew from a shrinking directory business into the growing field of online marketing business. The first set ended with the presentation by F-secure and their case about F-secure’s service development to B to B market and overall development. Perhaps the most interesting or riveting presentation was by André Noël Chaker from Veikkaus Ltd. Chaker shaked us in the audience to believe in the/a service miracle and to believe in the/a Finnish miracle. 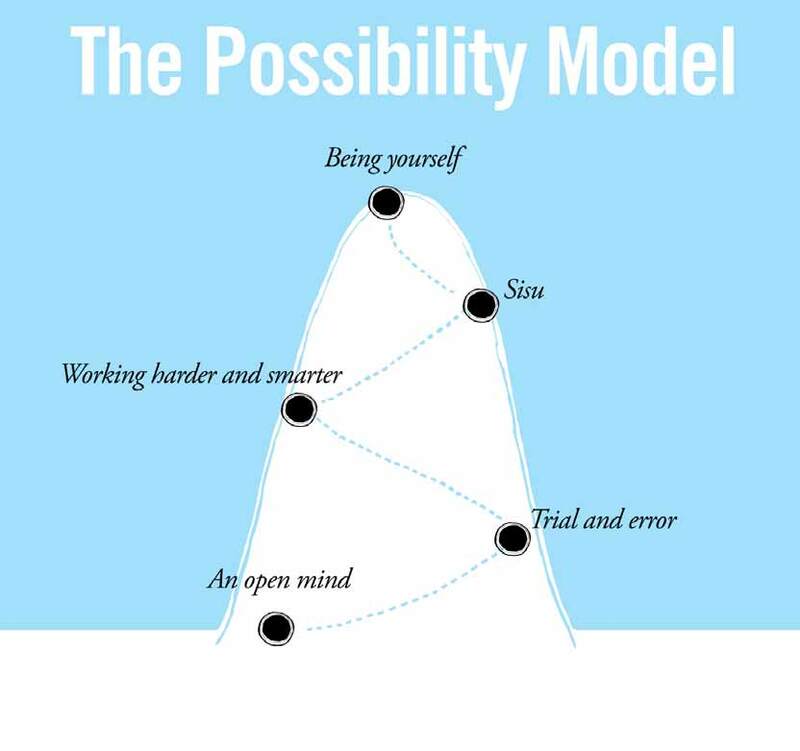 The Finnish miracle is about the/a connection between Finns and success using Chaker’s possibility model. Unique national values and work methods are the key to our competence. Although Finns never brag about their self worth it is still the value that has pushed Finland to be the leading country in innovations. The chain of self worth consists of courage, dignity, knowledge, trust, risk and experience. These are all the same values that we need when solving problems. 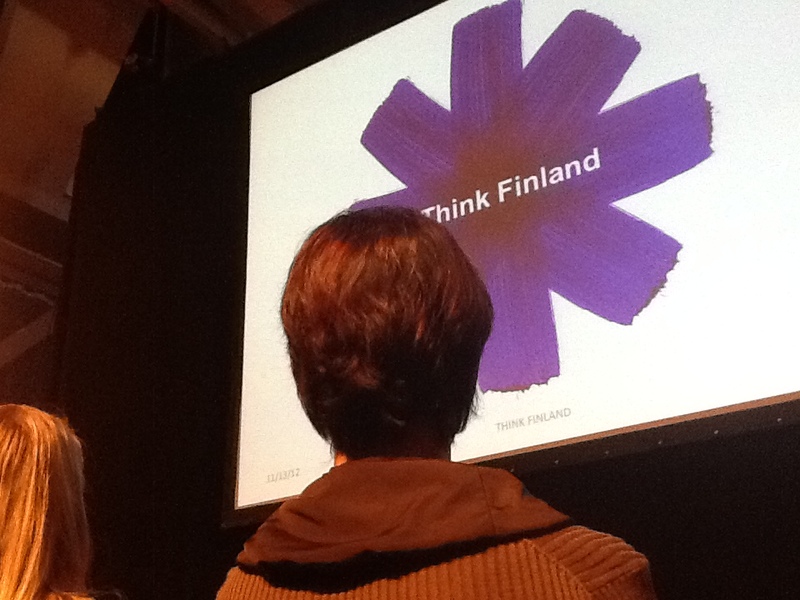 So as Chaker’s marketing campaign advises/d us – Think Finland. Be genuine, trust your personality and have confidence. The first presentation from the final assortment of client cases was case Finnavia – Innovative service experiences to airport customers, Citymarket Paavola from Lahti presented case – Increasing average purchase with customer experience and the MTV3 client case was From Broadcasting to Service Experiment.Göte Nyman, a professor in Psychology, gave a presentation on Holy Service – What kind of a service reaches majority? Under this topic Nyman talked about people’s needs and behaviour: how they actually do not want to use anything and they just don’t love services. They don’t want to be seen as a target of some/a service. People want to be alive, act freely and fulfill their lives with possibilities. For example, they don’t want to vote but? they want to make an impact and be a part of something meaningful. You need to understand the essence of you and me to be able to find the heart of the/a? service. Nyman’s the heart of service table consists of addiction, observation, planning, actions, anticipations, identity, manners, opportunities, and intentions.Producer and writer Marko Kulmala’s lecture was about the meaning of service experiment and how easily it can be achieved when you encourage your staff to take initiative and to use their imagination to serve your customer better. The best way to strengthen your employees is to give them trust and liberty to express themselves. At the end of the event Palmu opened up about their thoughts on the future of service design in cooperation with Pöyry’s Petri Vasara. Pöyry started with concerns about globalization. Globalization is designed in a way that it supports economic crisis and epidemic diseases to spread fast and effectively. Honolulu airport, for example, is the place where design of epidemic, as Vasara defined it, has the best potential platform to take place. So in the end it is necessary to understand that the real problem is more important than the solution. Palmu continued with Einstein’s quote where people should use 59 minutes to define the problem and one minute to solve it. We need to step out of our comfort zone and start to realize what is actually moving the planet and its people. We need to start to see that perhaps the professional inside the organizations are not the best to determine what are the needs of their client. We need to start thinking differently so that we can detect new service innovations. Service will replace peoples need to own everything. So in other words, we need to stop designing things that already exist. The whole event experience was designed in a way that I as a visitor didn’t need to worry about anything. Before the event, they sent reminder mail to the attendees and on the day before to the event came an sms-message informing you about the place and time and how to get to the event on time. 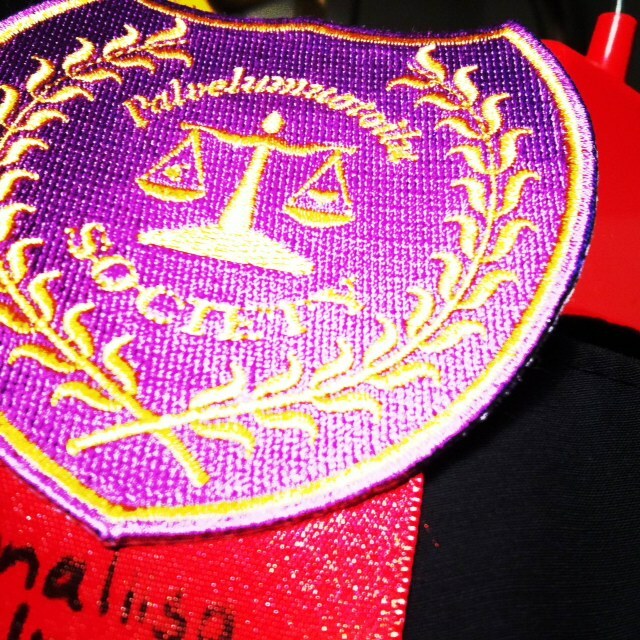 Nice extra touch for the Palmu’s Society -theme was sound of a bagpipe to indicate when to go back from the breaks. Overall the event was successfully performed and the lecturers were all interesting and informative. The next day all the participants received a Thank You mail with opportunity to give feedback, and seminar materials attached. The event left me a pleasant aftertaste and I’m already looking forward to participating at their event next year.